"Rivetti & Lauro" comes out of an ambitious idea. The vineyards of Valtellina tell us centuries of history and tradition. They are the largest terraced wine-growing area in the Italian mountains. A place where it is produced Nebbiolo, a great vine for a wine of noble and extraordinary quality. We want to start from this tradition to introduce new growing techniques addressed to organic and biodynamic, in harmony with the mountain environment. We are growing new species of vine, whose fruit can meet the quality and generosity of Nebbiolo, exalting it. The great work in the yards make possible to build great wines. "Rivetti&Lauro" only makes manual vintages, collecting the best grapes into boxes. We want to maintain the homogeneity of the product by considering its origin. After an accurate work of selection the grape is vinificated into small tanks and then refined into French oak barrels, tonneaux and bariques. In our wine it is possible to find the scent and characteristic of our territory. "Rivetti&Lauro" has begun its adventure bottling wines with a strong character and full of modernity to tell our passion and the story of our land. Wines that comes from the DOCG areas of INFERNO, SASSELLA; VALGELLA and TIRANO. At dawn, the end of the winter, the first beat of wings. Our flight has started on. The work and strength of the people of Valtellina have created hundreds and hundreds of kilometres of dry stone walls, with thousands shades of stones, asking the mountain, the rocks and the wood for some land to be cultivated. In the century the vineyards have taken possession of these crags to give us the wonderful fruit of Nebbiolo. The gaiety in the rhythms of the vintage, the perfumes and the joy of the grape that becomes wine. The magic of the transformation, after the waiting and the hard work. Rituals that repeat and hand on themselves. Tradition that loads itself with modernity and innovation. We have gone back to the alive wood of our vats to rediscover the feelings and the naturalness of our wines. To the old laws of wine cellar we approach the tools of new researches and the potentialities of the new vinification systems. A beautiful eighteenth-century Palace, Palace Torelli, conceals wine cellars where wine has always waited the time of its correct maturation. Every time with respect and emotion we go down the staircase that goes to the barrique room and the well of the icebox, following the perfume of the wine and of the noble woods of the French and American oak carats. 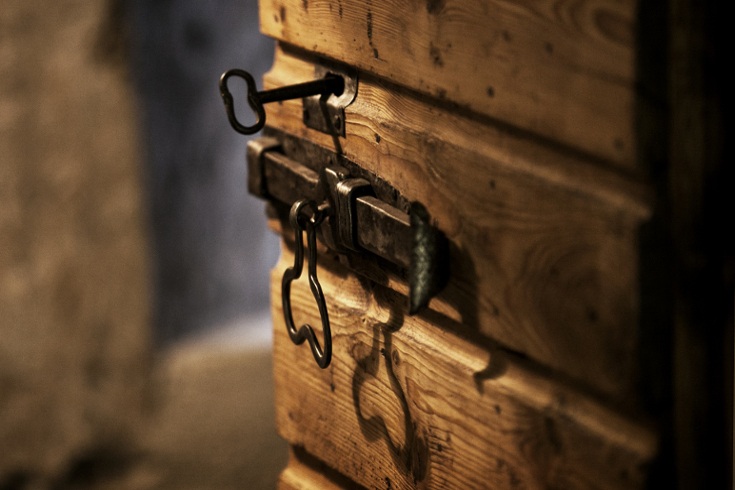 We open hundred-year-old wooden front doors to discover the small world of our Wine. The cellars, the shop and the tasting area are situated in the old town center of Tirano, in Torelli Palace. In this place it is possible to taste and buy our products, organize events and enjoy the kitchen of the bests chefs of Valtellina, that manages the catering and all of our gastronomic initiatives.